I love cycling. It was this love and my desire to compete that drew me into the world of triathlons. Competing or even just finishing a triathlon is one of the most physically demanding and satisfying experience you can have. These shoes are more than just comfortable; they are versatile, easy to slip on and quick drying. They will help you to shave time off your best in a race.Of course, you’ll need the best watch for trathletes to help with verifying this. Although Mavic is not devoted to tri-athletes they have some excellent products and make shoes for many of the Tour de France racers; that’s pretty impressive credentials. It is worth noting that you can get these in a highly visible but stylish yellow. You can also opt for the black and white version if you prefer to keep your shoes and yourself on a slightly lower profile. The Mavic Cosmic Ultimate has an outsole made from carbon SLR. This makes it stiff enough to ensure your energy is transferred to the pedals and not wasted. The inner sole is made from ortholite. This material is designed to change by less than 5% over time. That means it will not lose its cushioning or comfort; no matter how long you keep the shoes for! This strap is very adjustable; making it easy to get the comfort level just right every time. 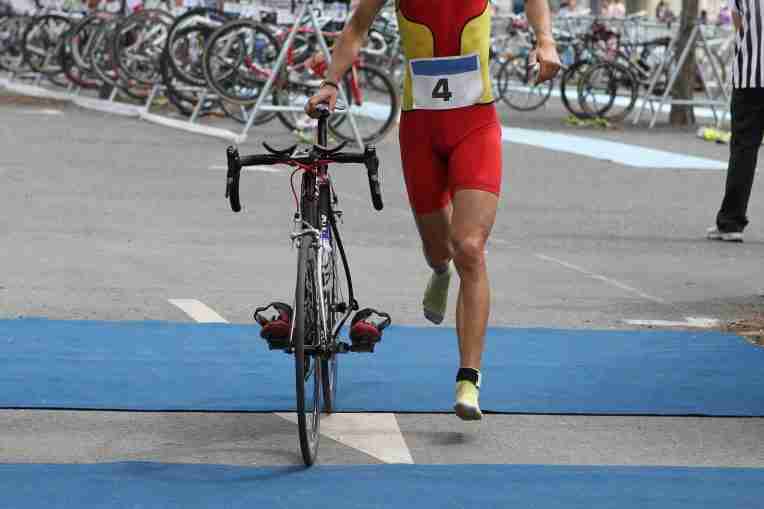 It also makes it easy to slip the shoe on and fasten; minimizing your transition time between stages of the triathlon. This is a clever design feature. A dial and the Velcro straps are firmly attached to the shoe with laces. You simply pull the Velcro strap over and turn the dial. The shoe will feel like part of your foot. The Cosmic Ultimate has tread on the heel to aid your grip when pedaling hard. You can also use the outsole to guide you effortlessly into the cleats. Combine this with the carbon energy frame and you’ll feel the difference as you climb the hills. Even on the hottest of days these shoes proved to be effective at transferring the heat away from your feet and allowing them to breathe. This is due to the inclusion of several breathable panels and the carbon outsole. It really works! There is no doubt that the Mavic Cosmic Ultimate is a rigid shoe. This should help support your foot and allow you to focus on pedaling. However, it is possible that you’ll find the carbon too unforgiving; making your foot uncomfortable. The dial to tighten the shoe is excellent. Unfortunately if you over tighten it you can’t simply loosen it a little. It will loosen the straps completely; meaning you have to tighten them again. This could take valuable seconds if you’re struggling to get the right feel and comfort level. This shoe represents great value for the money. In fact I was torn between the Pearl iZUMi Tri Fly V Carbon and the Mavic Cosmic Ultimate. Ultimately the Mavic is more affordable. But, these shoes are still a great choice and look the part. The Pearl iZUMi is exceptionally well constructed and designed to be worn without socks. This speeds up transition time when racing while still offering a surprising level of comfort. The lack of socks also prevents the discomfort of a sock moving as you pedal; and you being unable to do anything about it. This comfort is further enhanced by the single strap construction. It helps to prevent chaffing or hot spots while still holding your foot firmly in position. It even has a loop on the back of the shoe to facilitate the quick transfer of your feet from swimming to cycling shoes. Once again the carbon sole makes it easy for the energy you produce to be transferred directly to the bike. The fact that the carbon is stiff allows energy to be transferred to a focal point; the pedal; regardless of where your foot is positioned. It is also relevant to note that a carbon sole will not allow the pedal to dig into your foot. While this may not be an issue for a few races, over time this can cause injury to your feet; carbon soles protect against this. The Tri Fly V Carbon has an upper lined mesh and utilizes direct vent technology. This allows your foot to breathe as you pedal; helping to disperse the heat buildup and ensure your energy and focus is on the bike and not your own comfort. The sizing guide has a strong hint of the European. It is highly unlikely that your normal size will apply when purchasing these shoes. You’ll probably need to go a size or even a size and a half bigger when you order these. For this reason it is a good idea to try the shoes before you commit to buying. No matter how comfortable they can be; they won’t if you buy the wrong size. These are not the cheapest shoes on the market although they do represent excellent value for the money. Providing you’re getting serious about your triathlon endeavors then they are worth the investment; they will give you years of service. Just as the Cosmic Ultimate could potentially give you comfort issues with the rigidity of the shoe; so too could the Tri Fly V carbon. It is best to ease them into your routine gently. The Scott Tri Carbon has 3D Nylon Airmesh incorporated into the upper microfiber material. This is soft enough to ensure you remain comfortable while breathable enough to make sure your foot never gets too hot. 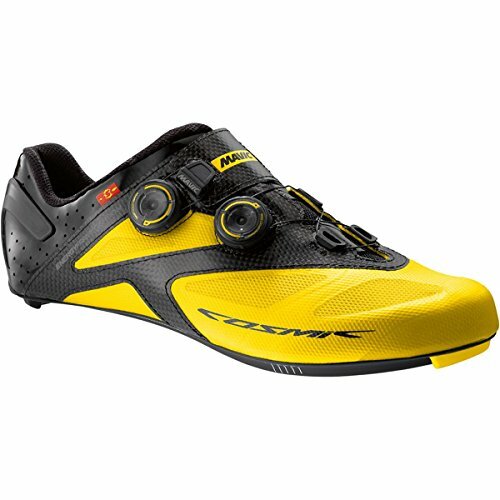 There are no harsh seams inside the shoe; you can comfortably wear the Scott Tri carbon without socks if you wish. It also utilizes an adjustable ergological insole system which allows them to pre-shape the insoles to your foot; providing maximum comfort and support. There is a large loop at the back of the shoe; this is designed to help you slide your foot in and out of the shoe. Which you need to do in a hurry will depend on which stage of the race you’re at. The Scott Tri Carbonutilizes a dial system to close your shoe. However this dial is exceptionally good as it can be tweaked in both directions to allow you to create the perfect tightness and comfort for your foot. There is an adjustable dial, strong and light laces and lace guides. The dial simply tightens the laces to ensure a snug fit across the shoe. What is particularly good is the ability to loosen these laces by just 1mm at a time. There is no doubt that these shoes are a snug fit. This is great when riding but, even with the loop and the full release of the tightening dial; they can be difficult to slide onto your feet quickly. 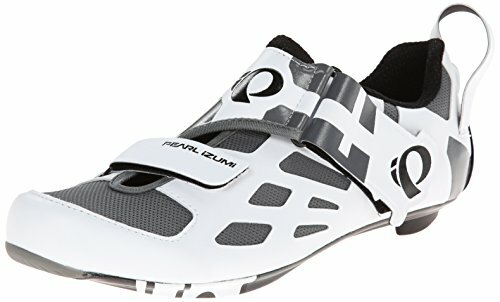 Considering that the right cycling shoes can help you to shave just seconds off your overall time; you may lose as much as you can gain when trying to get these shoes on. It’s worth noting that getting them off is easy! The Scott Tri Carbon appears to adopt European sizes as well. Again this means you need to go a size or maybe even two sizes above your normal. It is definitely worth trying before you buy to ensure they will be comfortable when you ride. 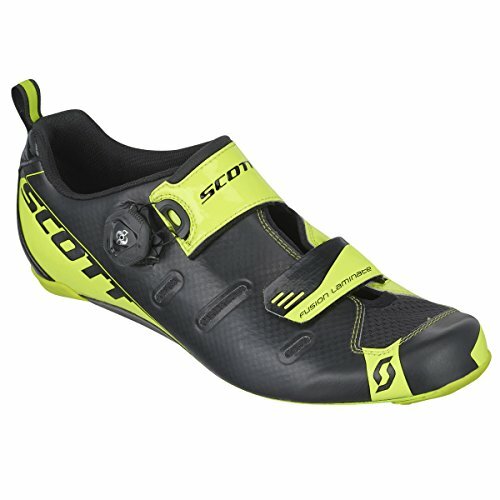 The Scott Tri Carbon cycling shoe offers a 9 on the rigidity scale. This is the lowest of these three options and may make a difference to the efficiency of your energy transfer. There is no doubt that all 3 of these shoes are capable of doing the job. However, if you really want to gain those extra seconds and increase the power going through your bike then you need to choose the Mavic Cosmic Ultimate. Put on a pair of these and you’ll feel like you’re not even wearing shoes. But at the same time it will give you the rigidity and breathability you need to increase your performance. It is essential to remember that these are not just bike shoes, they have been created with the tri-athlete in mind and will help you to achieve the ride of your life!